Could we have a mini game like two of the ones in my old game. Pong and Mystic Labrinth? You cna play them here to see what they are like it would be very easy to change them so they are fit for a seal game. 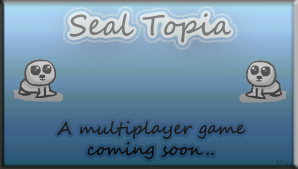 Anyone like them and want them in Seal Topia? Maybe pong. But with better graphics of corse.